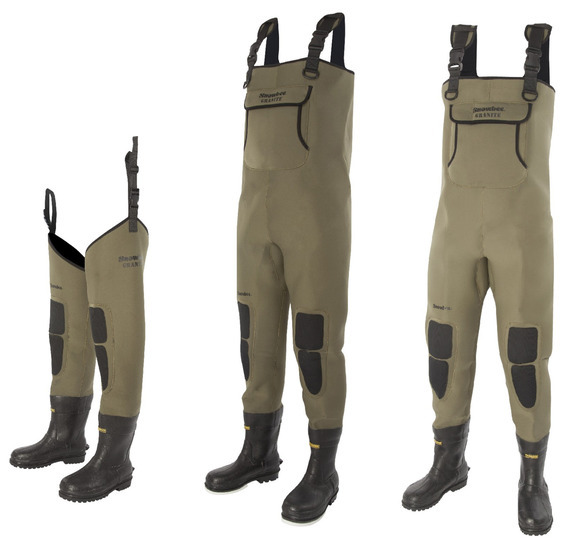 Having pioneered breathable waders in the UK, almost 20 years ago, we felt it was time to design the ultimate wader. Our new Geo-5 was developed with a simple design philosophy – only the best will do! Featuring a new cutting style, the leg seams run up the front and back of the leg to avoid possible seam chafe. This also allows us to create articulated legs with a natural curve in them, for greater comfort and freedom of movement, without having to add pleats and seams. The Upper is a 3-layer Polyester, with a Breathability of 4,405g/m2/24hrs & Hydrostatic pressure (waterproofness), of15,000 mm. 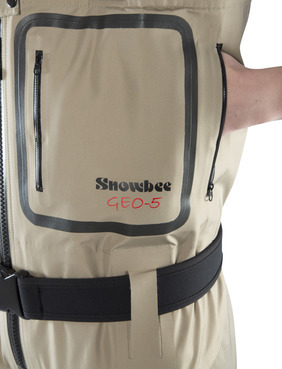 From the waist down, the Geo-5 uses a top grade, high-density Polyester Taffeta. 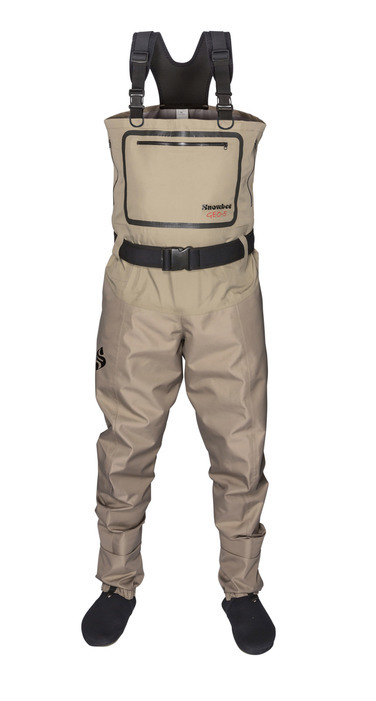 This heavy-duty material, features a 5-layer construction with two breathable membranes sandwiched in-between. 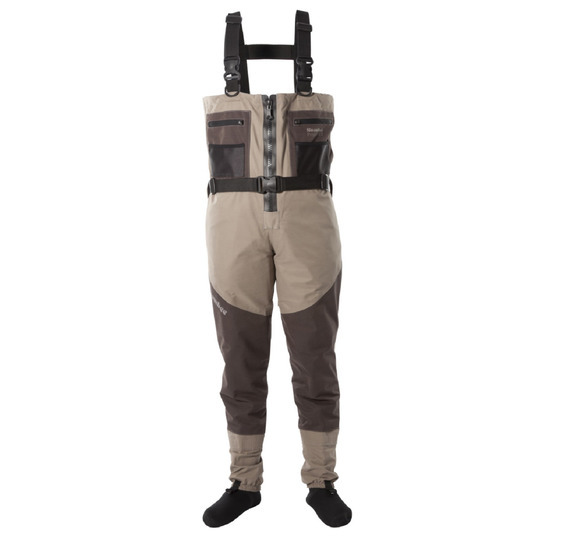 This new grade of material is about as “thorn-proof” as it is possible to get, without sacrificing breathability and puts us on a par with the best waders on the market, but at a realistic price! 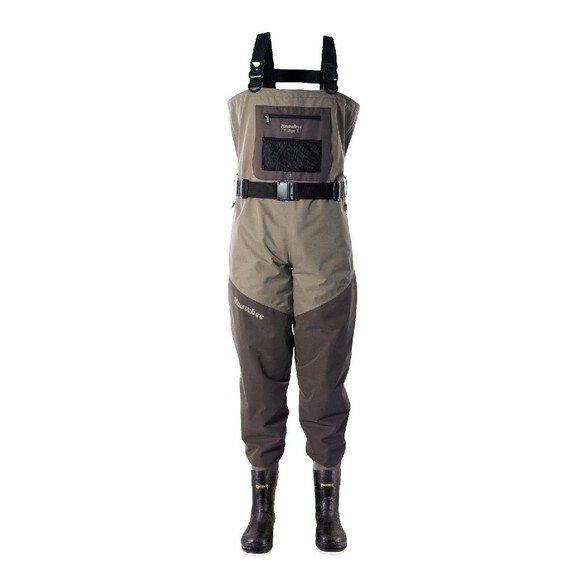 It has a breathability of 1,500g/m2/24hrs & Hydrostatic pressure (waterproofness), of an incredible 30,000 mm – double most brands of waders! Fitted with two welded chest pockets, plus two fleece-lined side hand-warmer pockets – all fitted with the latest design of water-resistant zips. 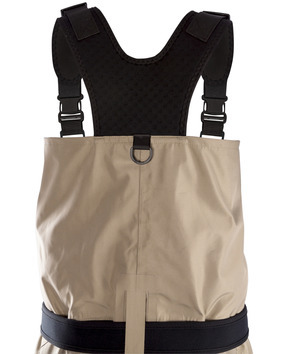 All the pockets open within an internal welded panel, so even if you get water inside them, you stay dry. We have spent many hours testing & refining the neoprene sock design. The ‘all new’, ergonomic design, fits the foot far better,whilst also providing enhanced comfort & reliability. 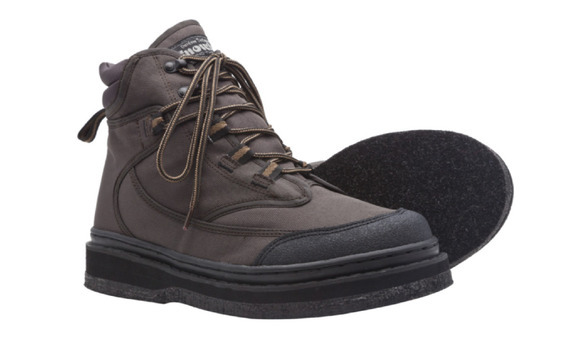 The high density sole panel, is re-enforced with heavy-duty nylon PK fabric for added protection against punctures, due to gravel, or wear inside your boots. 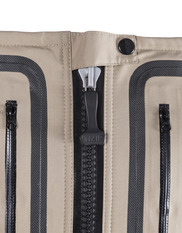 Our top of the range Zip-Front model is fitted with the latest, top quality German TiZip®, Masterseal 10 waterproof zip. These are normally reserved for diving and chemical weapons suits so are guaranteed airtight and watertight. Fitted with two welded chest pockets, plus two fleece lined side hand-warmer pockets - all fitted with the latest design of water resistant zips. 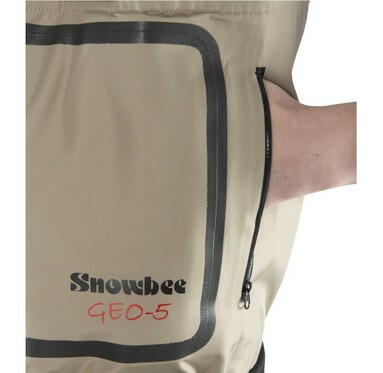 All the pockets open within an internal welded panel, so even if you get water inside them, you stay dry. We have spent many hours testing and refining the neoprene sock design. The new ergonomic design fits the foot far better, whilst also providing enhanced comfort and reliability. The high density sole panel is re-enforced with heavy-duty nylon PK fabric for added protection against punctures, due to gravel or wear inside you boots. 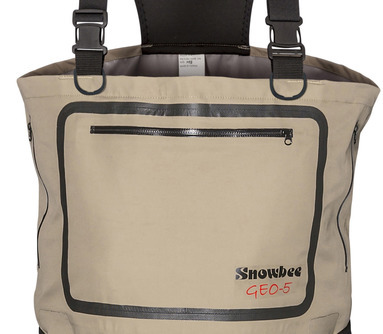 Following the introduction of our hugely successful Geo-5 Zip-Front model above, it was inevitable a standard, non-zip model would follow and here it is! With the same features as the original, it incorporates the new cutting style of the heavy-duty 5-layer breathable material from the waist down, with a lighter 3-layer breathable material above this for enhanced breathability and comfort. The new, fitted neoprene sock design, in a denser neoprene, with a re-enforced sole panel, provides extra comfort and will improve reliability. 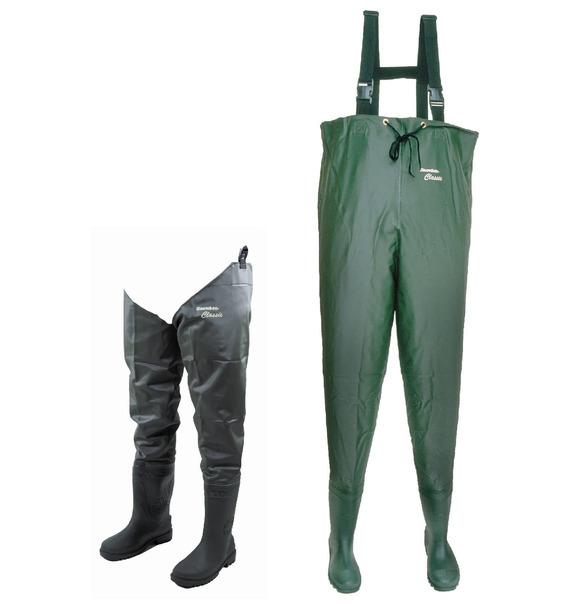 The 4mm neoprene socks fitted to these waders, feature a completely new cutting design, making them the best fitting, most comfortable, we have ever worn. 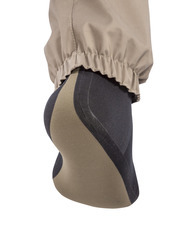 In addition to the Hypalon sole panel, which prevents heel compression leaks, this new cutting style tapers the ankles, to remove excess material, which can otherwise crease up inside your wading boots. The new 3 panel design ensures all the seams run around and not under your foot, for a more “moulded” fit and added comfort. The integral gravel guards have front lacing hooks and rubberised elastication around the bottom, to prevent them riding up when walking. The same features as the Zip-front model, but in a standard chest style. 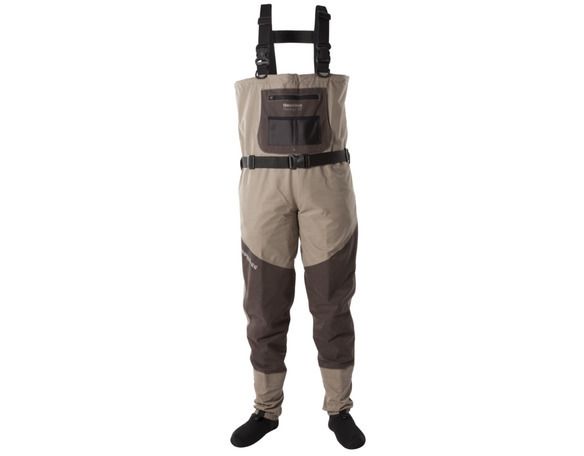 This model offers the very best value for money of any breathable wader on the market. Fitted with our well-proven Combi Felt-sole with a deep cleated heel, deep enough to take studs, for the best grip both in the river and on the bank. A rubber-foam lining provides good insulation, then a further Thinsulate™ material inner lining, retains the warmth. This replaces the more normal neoprene lining, making these ideal for anyone with a Neoprene allergy. Fully cleated sole for sure grip in all conditions and terrain. A heavy duty, moulded PVC boot – neoprene lined for warmth and comfort. Unique 3-part kneepads – double layer neoprene, plus 2-piece resin impregnated knee pad which is puncture and chafe resistant and allows flexibility for greater kneeling comfort. Additional front hand-warmer pocket. Integral Neoprene Gravel Guard with front lacing hook. The 150D Rip-stop Ballistic Nylon material is lighter, tougher, more durable and more flexible than the old PVC, so offers the wearer greater protection coupled with added wearer comfort. Hi-elastic PVC material, provides plenty of ‘give’ for ease of mobility and wearer comfort. 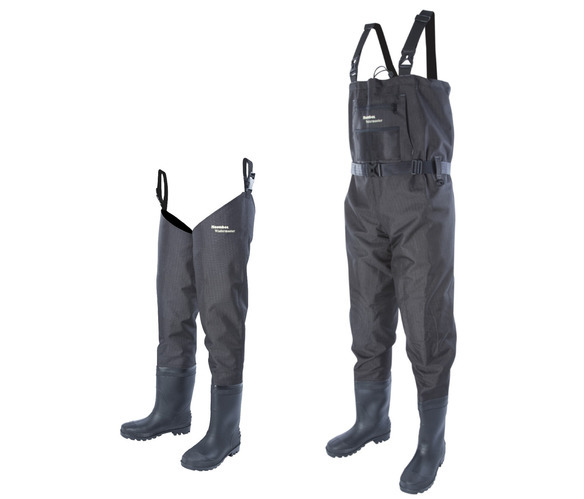 For comfort and value for money, the Snowbee PVC Waders are the only choice. 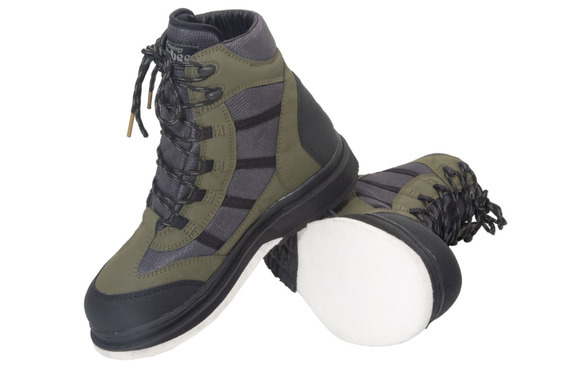 Our popular XS-Pro Wading Boots are made entirely from synthetic materials for ultra lightweight practicality and greater flexibility when wading. All the standard XS-Pro features, but now fitted with our NEW XS-tra Grip² sole. 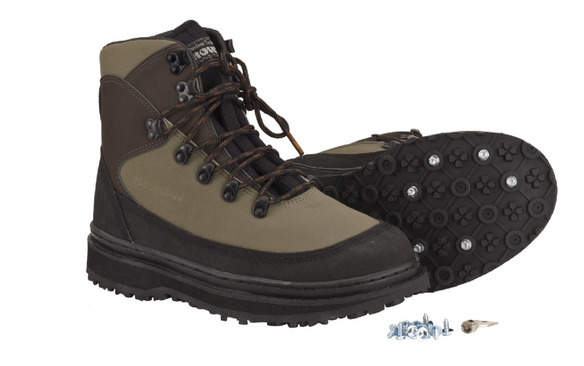 A boot that combines wading and cross-country trekking comfort, with style, traction and durability. Weighing in at 1,350g (48oz) per pair. Fitted with 11 studs per boot. The uppers are constructed from a new, tough, waterproof Nubuck leather. This top grade leather is imported from a specialist tannery in Korea, where the genuine Nubuck leather is specially treated to make it waterproof. 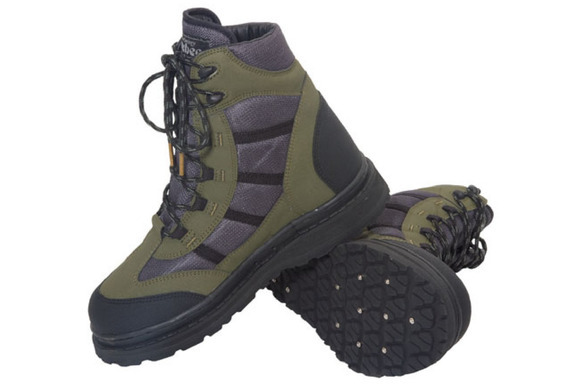 Reinforced upper all around the boot, toe and heel with hard wearing Rush Rubber, a tough synthetic rubber material, for support and chafe resistance. Thick, foam mid-sole for protection & torque resistance. Fitted with the new Mk.2 version of our XS-tra G rip Rubber Sole. 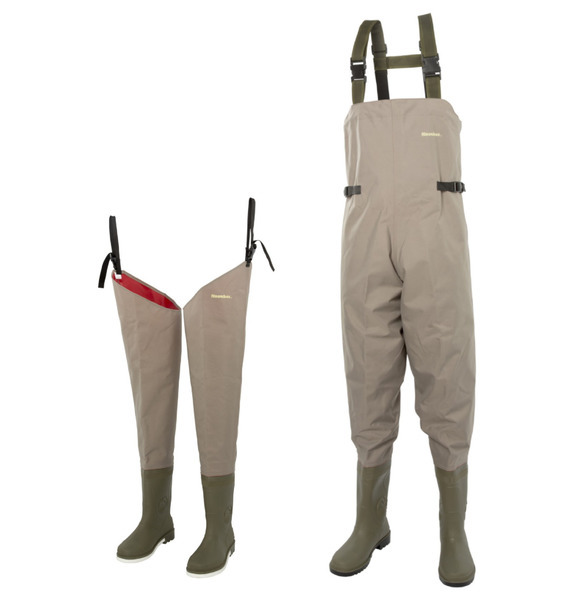 The Ranger Wading Boots offer excellent support and performance at a realistic price. 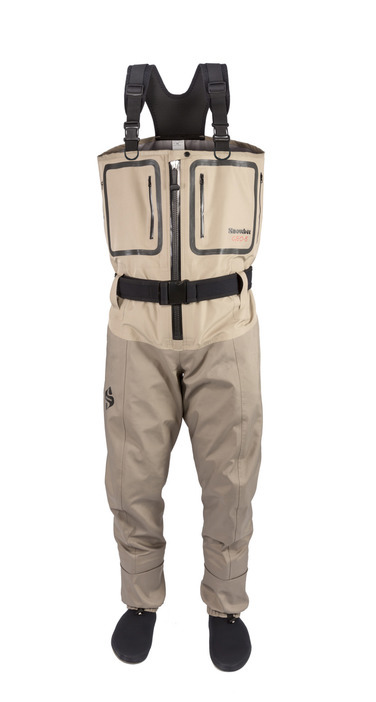 The lightweight 1,000 denier polyester material upper features webbing lacing eyes and ‘quick-lace’ hooks at the top, plus a useful ‘pull-tab’ at the back to assist putting on. 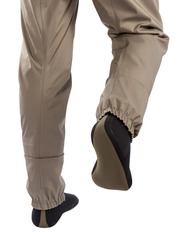 Weighing in at just 1,180g (42oz) per pair, these are truly lightweight wading boots. 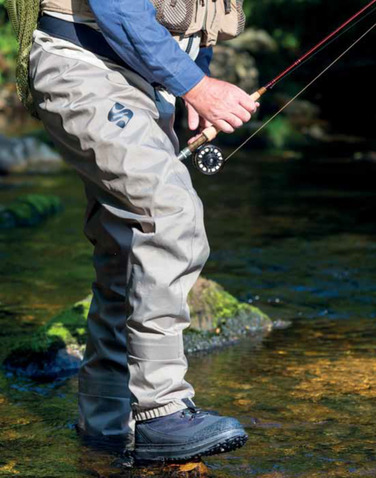 Full felt-soles give excellent grip in the river and will take our Wader Studs for additional grip.